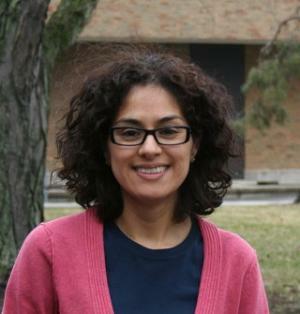 Roxana joined the ice core paleoclimate group in February, 2011. She worked with Ellen Mosley-Thompson in the chemical and particulate analysis of ice cores from the Bruce Plateau ice core drilled on the Antarctic Peninsula in 2010. Roxana is now part of the Third Pole Project led by Paolo Gabrielli and Lonnie Thompson. She is working in obtaining a 500 year history of trace elements in the Guliya Ice Cap to have a better understanding of the sources, fluxes and distribution of atmospheric trace elements affecting the Himalayan glaciers from the pre-industrial era to present time. Ph.D., Environmental Sciences, Department of Chemistry, The Ohio State University. Thesis Title: “Spectroscopic Studies of Atmospheric Relevant Air-Aqueous Interfaces”. M.Sc., Environmental Sciences, Department of Chemistry, The Ohio State University. Thesis Title: “Membrane Introduction Mass Spectrometry for the On-Line Analysis of Volatile Organic Compounds in Aqueous Solutions”. B.S., Chemistry, Escuela Nacional de Ciencias Biologicas, IPN, Mexico.